About time too ... ! The loophole is that, up until now, if you booked a vacation package (and we presume just a room in general) and then cancelled your package or room stay, your FastPass reservation stayed active, if you cancelled within 30 days of your stay. Now Disney is cancelling those FastPass reservations. We can see how this will affect those booking a package, with room and tickets, but we’re not sure how this will affect those just purchasing a room. Those reservations are able to be cancelled within 6 days of your visit. We have to assume that it’s going to cancel those as well. I'm kind of surprised it took Disney this long to close this loophole. However, it still doesn't stop guests from booking resort rooms and then not showing up and staying at an off-site property (essentially putting a price on early FP+ reservations). This loophole should have been closed long ago, but it won't stop people from finding ways to get early access to FP+. The bottom line is that making guests pick attractions so far in advance doesn't help anyone. The way Disney SHOULD have fixed this loophole is by allowing resort guests to book FP+ 14 days in advance and off-site guests a 7-day advance window. Making guests pick rides and attraction 1-2 months in advance is one of the most ridiculous parts of a WDW vacation. How long do you think pass holders should get then Russell ? Maybe as a pass holder I should get first dibs on the FP+ ... and it stays at 30 days ? Although I believe employees and their guest free passes only get 7 days, so maybe they should get priority ? I'm sure as the writer suggests, this is something Disney is trying to tighten up before GE opens. From my experience being a pass holder, I'm finding FofP is beginning to get a little easier to get these days, as well as 7DMT. But as always, you have to work the app to get the results. I don't hold any hope of getting a FP+ for anything at GE for quite some time !! I just don't understand why you have to pick what rides you want to ride ahead of time at all. MaxPass seems to work great at DL, and the old paper FP system at WDW also was working fine until they replaced it with FP+. I understand wanting to incentivize staying on-site, but perhaps you can do that by allowing resort guests to hold more than 1 FP at a time. Allowing quick trigger on-site guests to essentially take all of the FPs doesn't really serve anyone. There wasn't anyone asking Disney to get FPs 60 days before they even walked through a park gate, so I don't understand why Disney had to set up FP+ like that, and certainly not with so much lead time. I've never been to Disneyland since the MaxxPass was introduced, so I can't comment on how that system works. 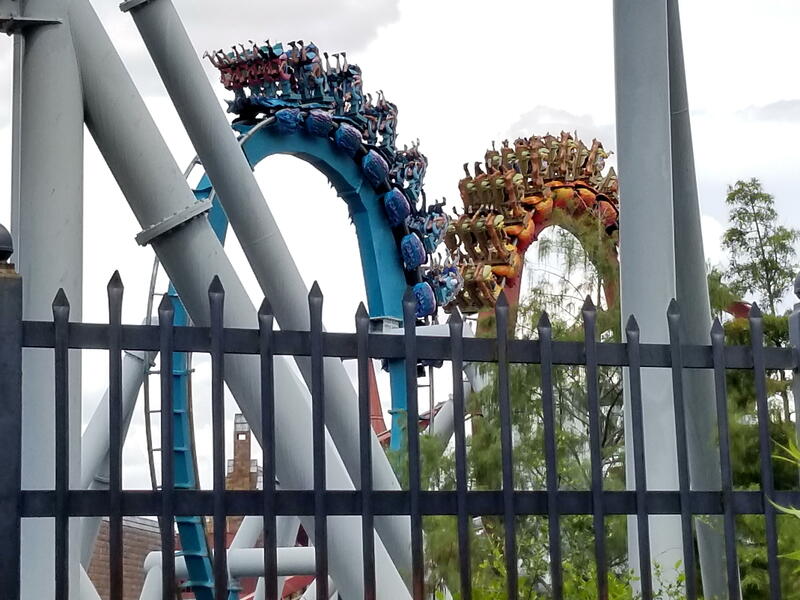 Maybe the FP+, is in reality, advantageous more for us passholders ?? Where I can scan my app during the day, and if I get a FP+ for a particular ride, I'll go that evening. There's been a bunch of FofP FP+'s come up today, the latest so far has been 6-7pm. So the system works perfectly, for how I want to use it. I hated the previous version, as it meant I had to be there early to get my ticket. And if I didn't get there, by the time I got to the kiosk all the tickets were gone. How anyone can say that is a better system is beyond me !